This year take your photos in your favorite family PJs! This listing is for all sizes. 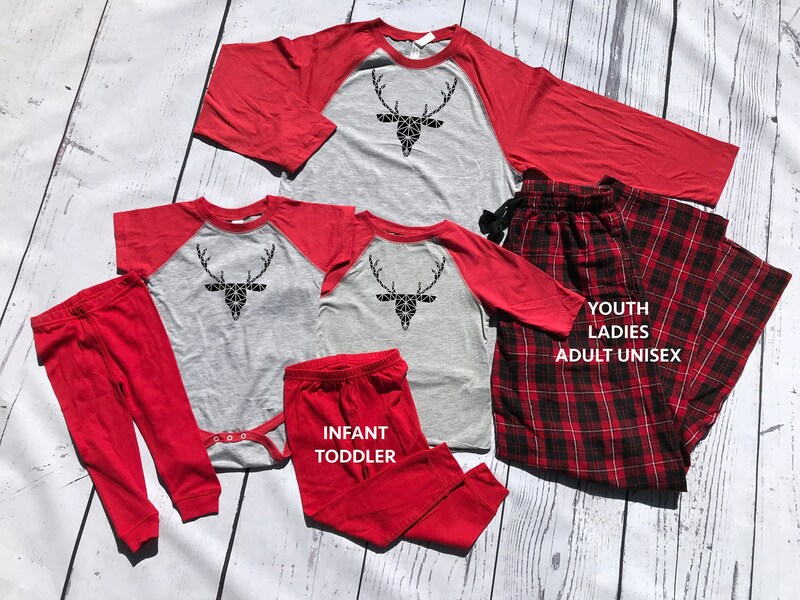 Infant and toddler pajama pants are red, Youth, ladies and unisex adult are plaid black and red flannel pants. 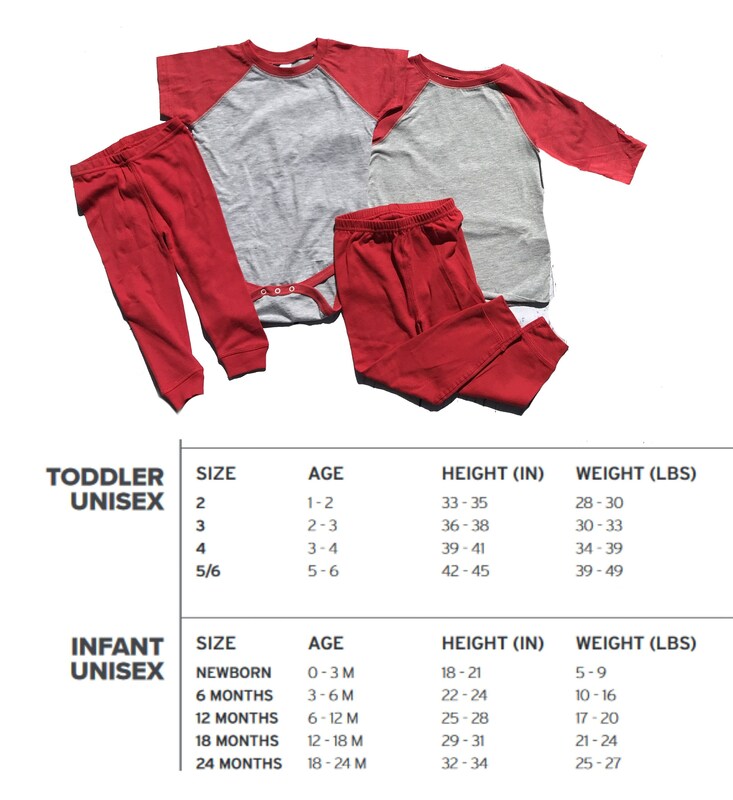 Infant & toddler raglan tops are 4.5 oz. 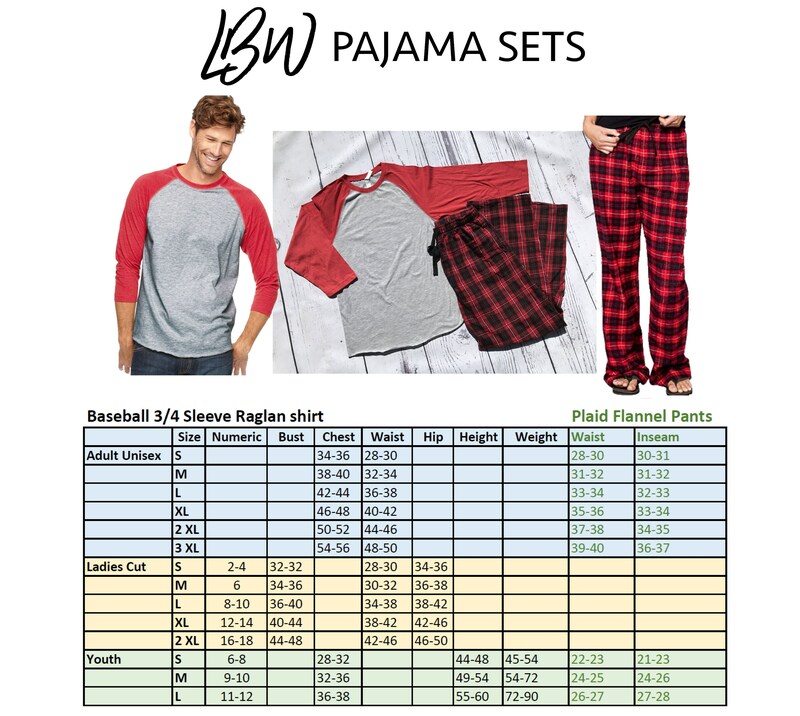 60% combed ringspun cotton fine jersey and 40% polyester CSPC complaint but not to be used as children's sleepwear or for other activities related to sleeping. Infant & toddler Pajama pants are 5.0 oz 100% ringspun cotton 1 x 1 baby rib with 100% cotton thread CSPC complaint as pajamas. This item is not intended to be used as children's sleepwear or for other activities related to sleeping. It does not comply with CPSC's children's sleepwear requirements.